Five-seveN provides a valuable RoF buff from a position that’s hard to fill -- she has, however, a few downsides. Five-seveN provides a dual RoF buff, in both her Skill and tile buffs, making her a valuable inclusion in HGRF echelons. In addition, her tile positioning forces her to be a backline support, and while this may seem like a negative thing due to the lack of flexibility, it’s actually the opposite; not many units can provide powerful RoF buffs from the backline. Thanks to her buff tile formation, Five-seveN becomes even more valuable in HGRF formations due to her filling a role that many HGs can’t fill. She does have one glaring weakness, however -- along with her dual RoF buffs, she also carries dual Crit Rate buffs which are redundant in HGRF Echelons due to the high innate Crit rate of RFs. Overall, though, she’s a good option despite her relative inflexibility. Five-seveN buffs RoF with both her Skill and buff tiles, making her a valuable addition to HGRF teams. Five-seveN’s buff tile positioning force her into the role of backline support, which is a role not many units fill in a typical HGRF composition. In later HGRF Echelons, any given RF will generally have 88% Crit Rate (40% base + 48% scope), making Five-seveN’s crit buffs go almost entirely to waste. Although this is more of a nitpick than a notable weakness, Five-SeveN’s specialized buffs are really only suited for HGRF Echelons. Her effectiveness in these teams, however, really cannot be understated. 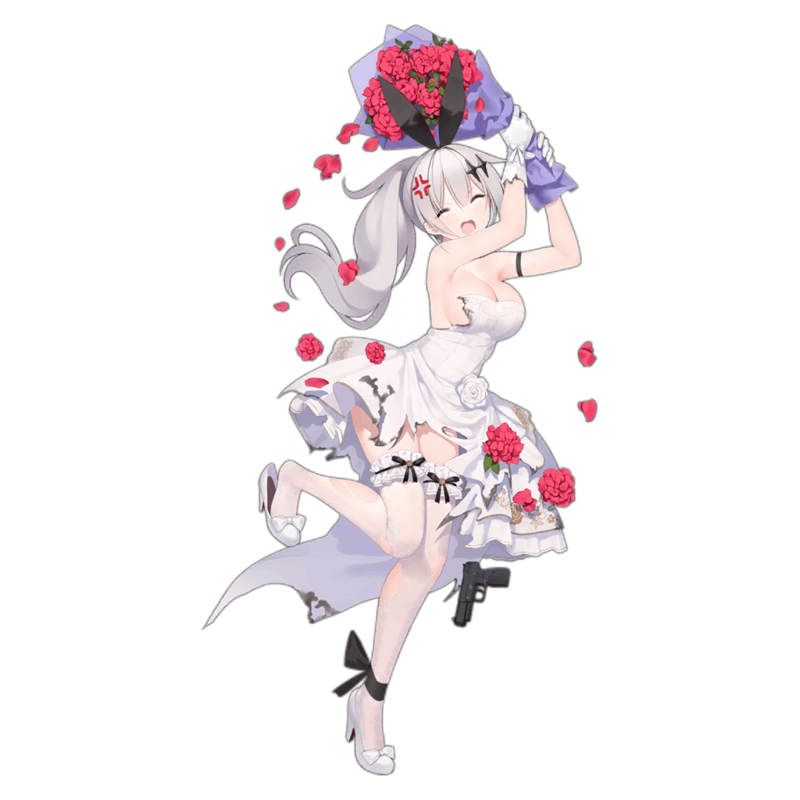 Five-seveN is an HG that does her job and does it well, even if her utility is limited outside of specific Echelon compositions. The most notable quality that Five-seveN possesses is her dual RoF buff, providing a 30% RoF buff from her tiles and a 20% buff from her Skill.. Thanks to this, Five-seveN offers excellent utility to a majority of HGRF echelons, providing the large RoF buff that most RFs need. Her formation buff tile placement also forces her to be placed as backline support to buff the damage dealers -- while this may seem to speak to her inflexibility, as there are not many HGs that can properly buff RoF from the backline, Five-seveN provides support to HGRF Echelons that is not easily challenged. Of course, due to Five-seveN providing an RoF-focused kit, she does not fit in ARSMG nor SGMG echelons, as neither ARs nor MGs appreciate such focused RoF buffs. Her effectiveness in HGRF teams really can’t be contested, however, and her inflexibility is less of a weakness and more of a guiding principle on how she should be used. If there was one negative to Five-seveN’s kit in the context of her optimal usage, though, it’s her dual Crit Rate buffs. Like her RoF buff, Five-seveN provides Crit Rate buffs in both her Skill and her Tiles with a value of 20% each. Since RFs have a base 40% Crit Rate and are always equipped with VFL scopes -- which further boost their Crit Rate by 48% -- Five-seveN’s Crit Rate buffs offer diminishing returns... These buffs aren’t completely useless, however; early on, Five-seveN allows even 3 star Crit Scopes to see viable use, decreasing the burden on the player to craft rare equipment. 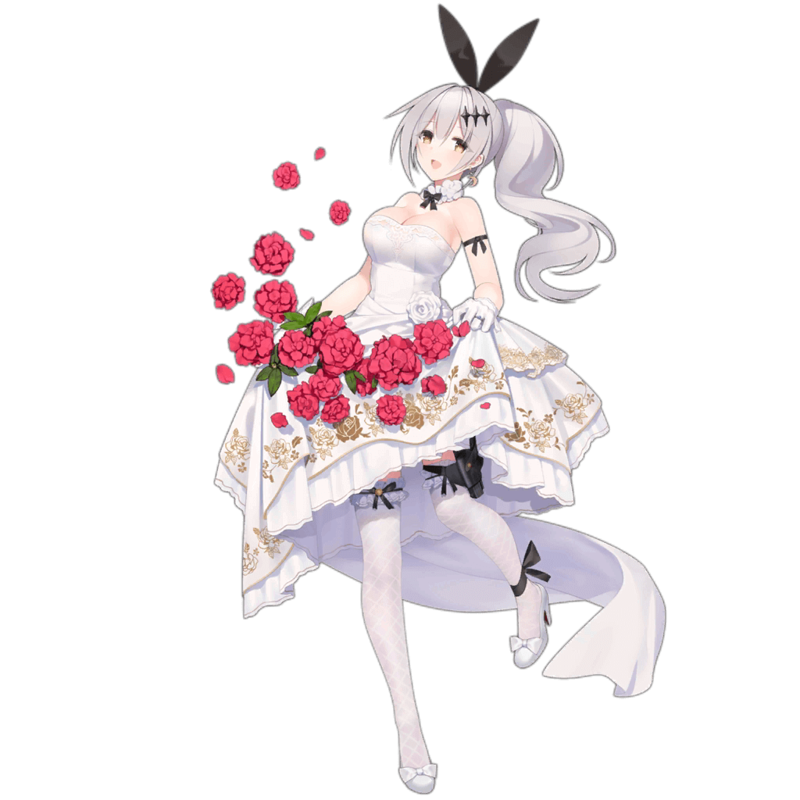 While this does not change the fact that in optimal situations, Five-seveN’s buffs are near useless, it is worth noting that more casual players can use her to compensate for their lack of high-rarity VFL. All in all, Five-seveN is a valuable HG for many HGRF echelons, featuring minor flaws that don’t really detract from her overall performance. While she doesn’t offer the unparalleled utility that some HGs do, she is still a notable choice. As Five-seveN provides RoF buffs, any self-buff RF appreciates Five-seveN’s buff. Some examples are Lee Enfield, M14, WA2000, and SVD. 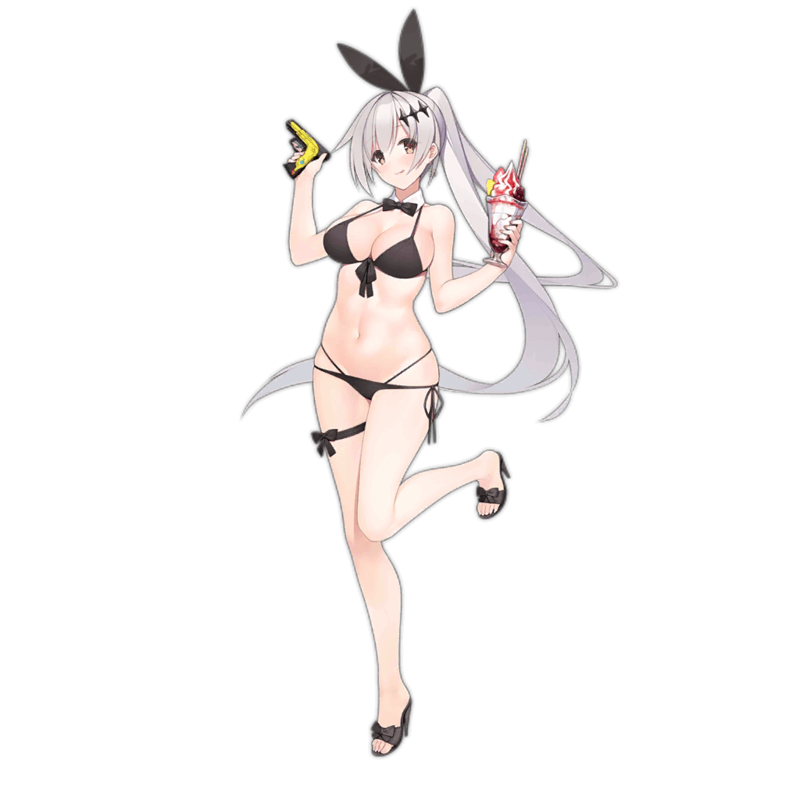 As Five-seveN can only perform as a backline support, HGs that can provide buffs from the front are necessary to be used with her. Some examples are Welrod, PPK, and Makarov. As Five-seveN’s tiles only buff units in front of and adjacent beside to her, she must be used in the backline. The FN Five-seveN was manufactured by FN Herstal starting 1998. The F and the N in Five-seveN are capitalized, as to highlight the initials of the manufacturer. This weapon is used in the military and law enforcement agencies of many nations, from India to the United States. Although sale of the Five-seveN was initially limited to military and law enforcement, starting in 2004, it started to be sold to civilians as well.